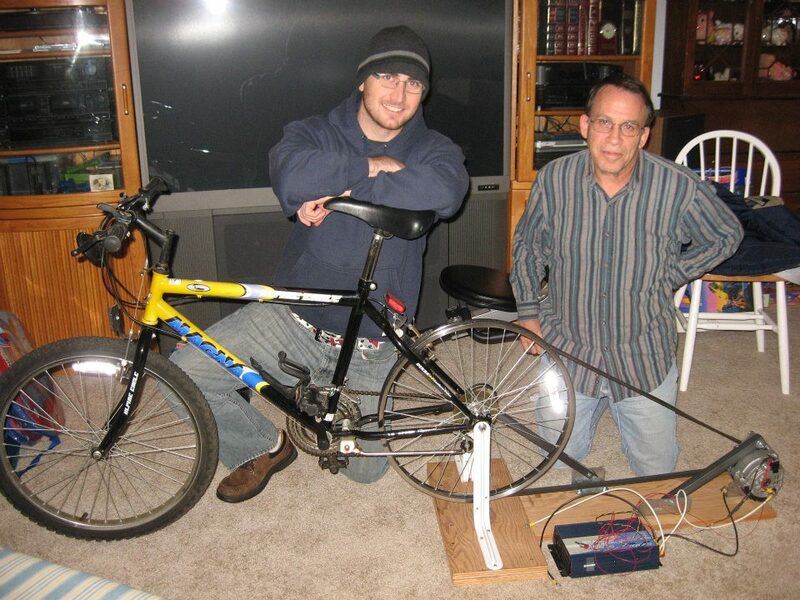 I had some help on this project… This is my Dad and I and our electricity producing bicycle. You pedal the bike and it turns a car alternator which produces electricity. The electricity then passes through a power inverter which allows you to plug in household items that operate under 700 watts. There is a car battery hooked into the system (not shown in this photo) that stores the energy so that if you get tired or stop for a while you can still run off of electricity stored in the battery. Once the battery gets low you can hop on the bike and charge it back up.